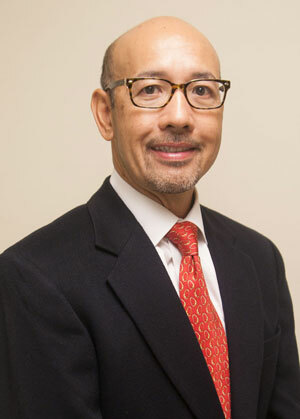 Dr. Hernandez is originally from the Philippines. He went to the University of the Philippines for his pre-med studies and earned his medical degree from De La Salle University Health Sciences. After medical school, he moved to the United States and completed his internal medicine residency at the University of Medicine and Dentistry – New Jersey. Dr. Hernandez has been practicing internal medicine for the past 23 years. Prior to moving to Charleston in 2007, he practiced in Indianapolis for 10 years at St Vincent’s Hospital. Upon calling Charleston home, he settled in with MUSC in an outpatient internal medicine practice in West Ashley. He joined Liberty Doctors in the fall of 2017. Dr. Hernandez has particular interests in geriatrics, chronic disease management, and exercise and weight maintenance. In his free time, he enjoys spending time with his wife and 2 sons. He enjoys playing golf and road biking. Dr. Hernandez believes that patient-physician relationship built on mutual trust and respect is of utmost importance in the practice of medicine. He takes time listening and understanding his patients’ needs, empowering patients to assist in managing their disease. He believes this approach results in positive outcomes. His passion is driven by the bonds he builds with his patients and keeping them healthy over the course of their lives. Dr. Hernandez speaks English and is fluent in Tagalog.